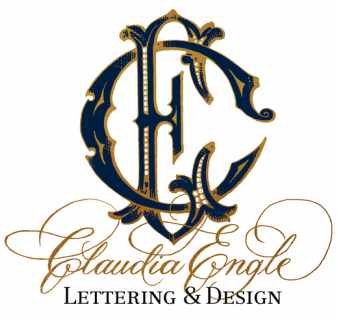 The first impression of your special event is best expressed with hand lettered envelopes. 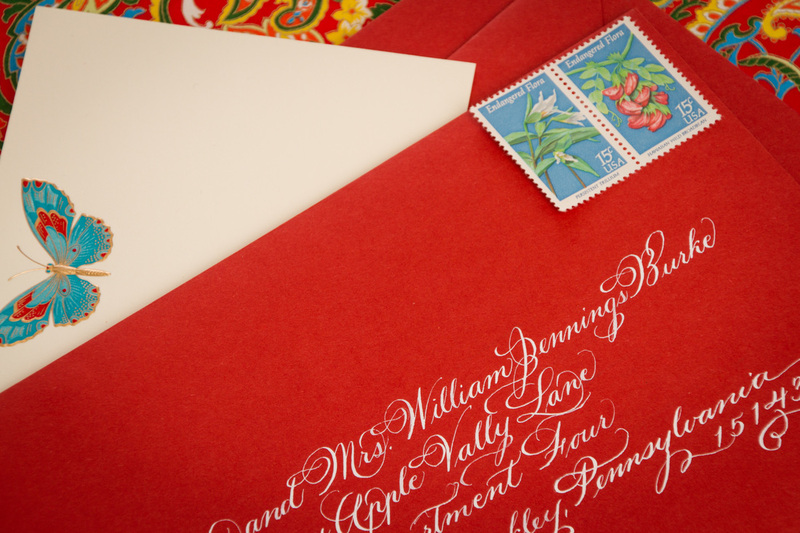 Whether you select calligraphy or type for your suite, calligraphed envelopes will complete it. The calligraphy style selected for addressing should compliment your invitation. For typeset suites, many brides elect to duplicate their selected font on the envelope. If there is a particular style you are interested in, I will gladly offer my interpretation of it. ​A working knowledge of etiquette is essential when addressing envelopes. Your guests will appreciate being properly addressed. I will be glad to answer any questions that might arise in regard to the guest list. Unless otherwise directed, your envelopes will be addressed according to the rules of etiquette. Upon completion, your envelopes will be thoroughly proofed prior to delivery.